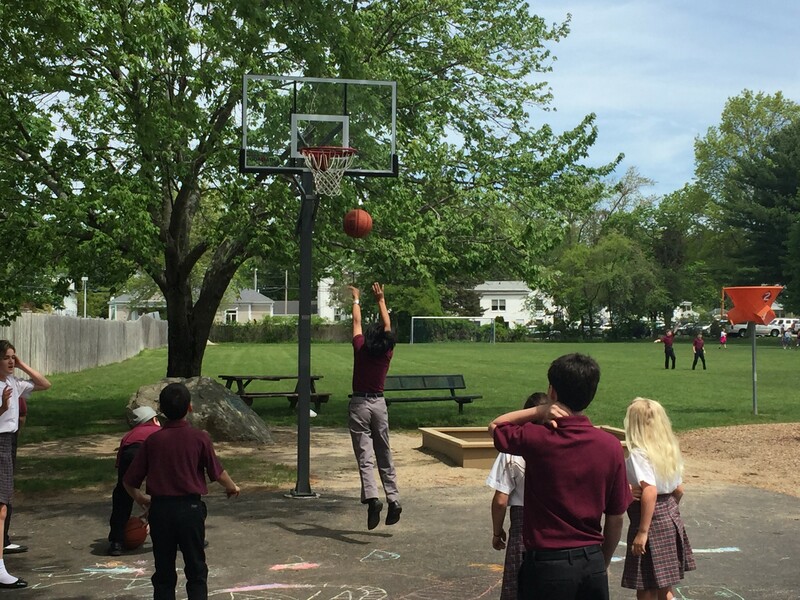 The Sacred Heart Campus includes an outdoor playground with a basketball net and full soccer field to the left of the school. We are so fortunate to have our outdoor "green space" which is used for recesses, gym classes, athletic practices and soccer games, end-of-year Field Day and our After Care program. We also have an indoor gymnasium which is home to a full basketball court and stage area. Sacred Heart School serves students from 27 different towns and is located behind Our Lady of the Miraculous Medal Church on Route 1. The Parish Offices and Rectory as well as the St. Vincent dePaul Food Pantry are located to the right of the school. Our multi-age playground structure was installed November 2015.